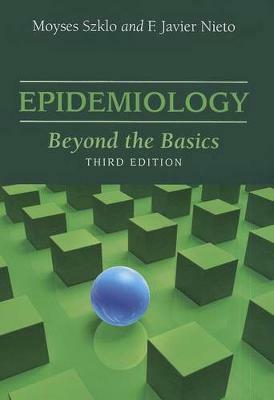 Written for those who are familiar with the basic strategies of analytic epidemiology, Epidemiology: Beyond the Basics takes readers through a more rigorous discussion of key epidemiologic concepts and methods such as study design, measures of association, research assessment, and more. With real-life examples throughout, the book avoids complex statistical formulations and is an invaluable resource for intermediate students and practicing epidemiologists who wish to expand their knowledge of epidemiology and its role in the medical and public health sciences. The Third Edition offers a completely revamped page design that will make it easier for your students to navigate through the many charts, graphs, and mathematical formulas. It also offers expanded chapter exercises, new and updated references throughout, as well as coverage of some new topics including: *	Over-diagnosis Bias (Ch. 4); *	"Joint Presence of Two Factors that Interact as a Confounding Variable" (Ch. 6); *	"Alternative Approaches for the Control of Confounding" (Ch. 7); *	"Final Considerations" (Ch.8); *	Decision trees (Ch. 10) This edition also offers an updated package of instructor materials including instructor's manual, PowerPoint lecture slides, and a test bank.